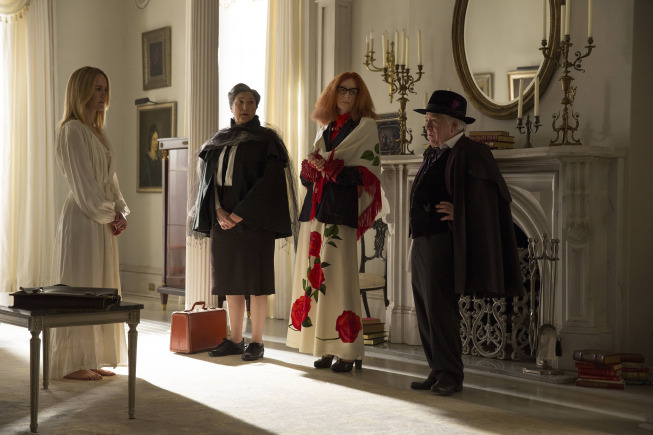 Nothing like an episode with a tense cliff-hanger, and AMERICAN HORROR STORY: COVEN delivered an ending that left me wanting to know what will happen? What kind of powers do the witches have to fend off the undead? A helluva lot happened in this episode, and we’re only four weeks into the season. I have a feeling the real storyline has barely begun, because there’s so far to go. There seems to be plenty of time for Madison and the minotaur to come back. Not even a week after I expressed my disdain for “contagion” storylines (while discussing SLEEPY HOLLOW) what does THE WALKING DEAD do? It plays the contagion card. And worse, it looks like this will be a major plot thread for the foreseeable future. I just don’t buy into the inevitable course of infections in these storylines — the path of the disease is clearly dictated by storytelling needs. Somebody once said that we are much more forgiving of amazing coincidences in real life than we are in fiction, so it’s best to not put any coincidences in your story, but if you must, keep it to just one. And it’s always the most dramatically interesting people who get infected in these stories. It happens too often to be coincidence. 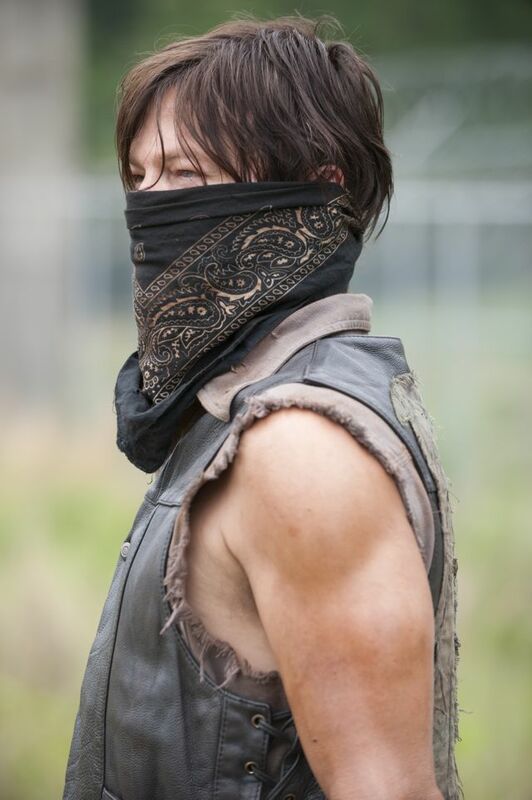 About six or seven months have passed when the season four premiere reintroduces us to Rick and the denizens of the prison. In that time, the original tiny group has integrated the survivors from Woodbury and formed a quaint little farming town with a ruling council, organized work forces, lots of plants in buckets — and an army of the undead itching to get inside and eat everyone. A lot of this introductory episode is devoted to establishing the new status quo and updating viewers on where all the regulars stand. 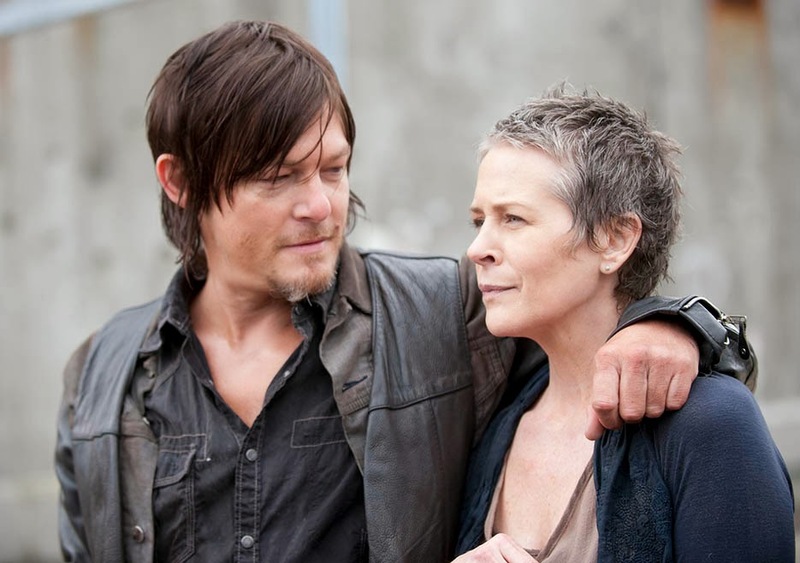 Glenn (Steven Yeun) and Maggie (Lauren Cohan) are still a couple — and no, she’s not pregnant — while Daryl (Norman Reedus) has become a celebrity around camp and possibly Carol’s (Melissa McBride) official boyfriend. Beth (Emily Kinney) does have a boyfriend — a new guy named Zack (Kyle Gallner). Tyreese (Chad Coleman) and Sasha (Sonequa Martin) have settled in as important members of the team. THE WALKING DEAD Executive Producer (and makeup maestro) Greg Nicotero explains and demonstrates what it takes to become a walker. 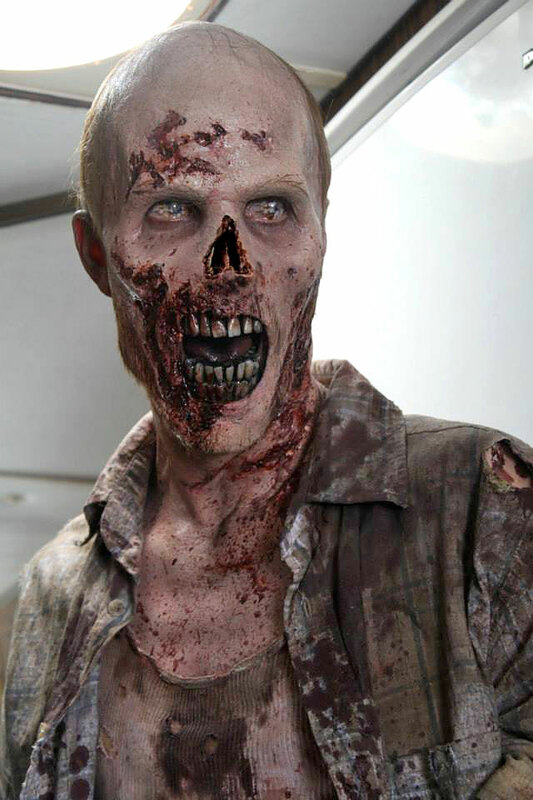 THE WALKING DEAD returns to AMC for its fourth season this October.